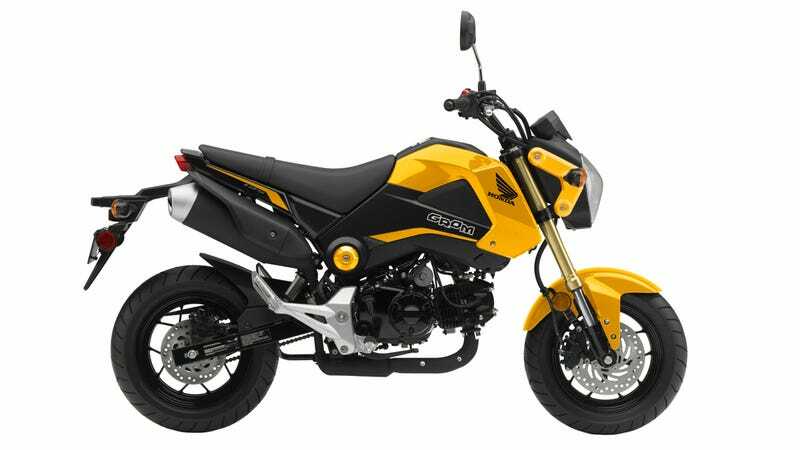 The Honda Grom is back for 2015, still packing a 125cc thumper, hydraulic discs, inverted fork, and 225-pound curb weight. But now… in yellow! And white! There's no pricing for the 2015 models yet, but don't expect a serious increase over the $3,200 base price of last year's black and red versions.